Iceland’s been calling my name ever since I posted photos from Katherine and Nathan’s 2009 trip. To kickoff the recap of our September vacation, I’m going to begin with a meal! 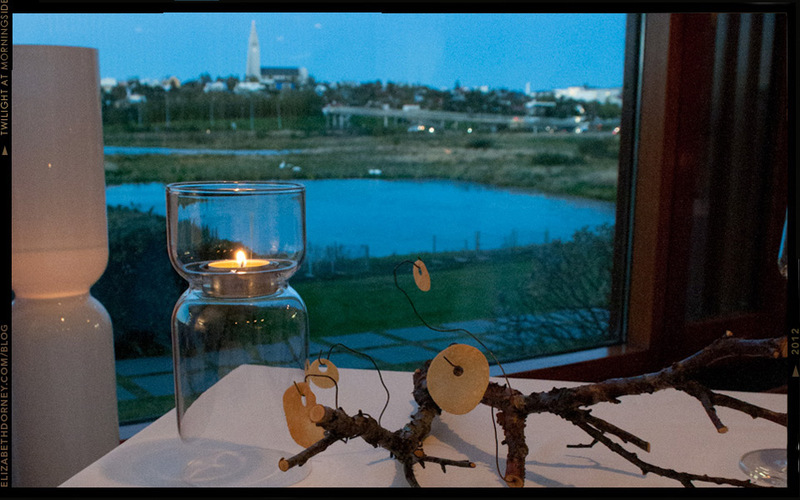 Dill Restaurant features New Nordic cuisine, housed in a Alvar Aalto setting with a view overlooking downtown Reykjavík. Dinner consists of three options: 3, 5 or 7 courses with optional wine pairings. This is Menu #100. 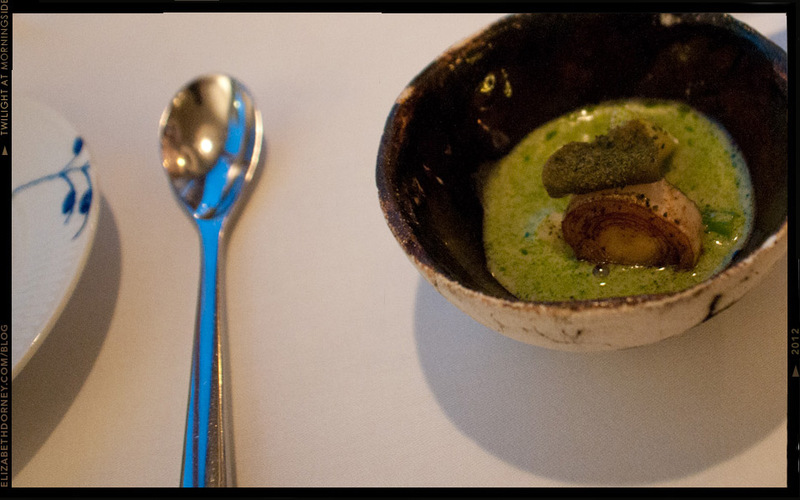 Amuse bouche: Mussel soup, dill and pickled seaweed. Looking back to Reykjavík with the famous Lutheran church, Hallgrímskirkja in the distance. 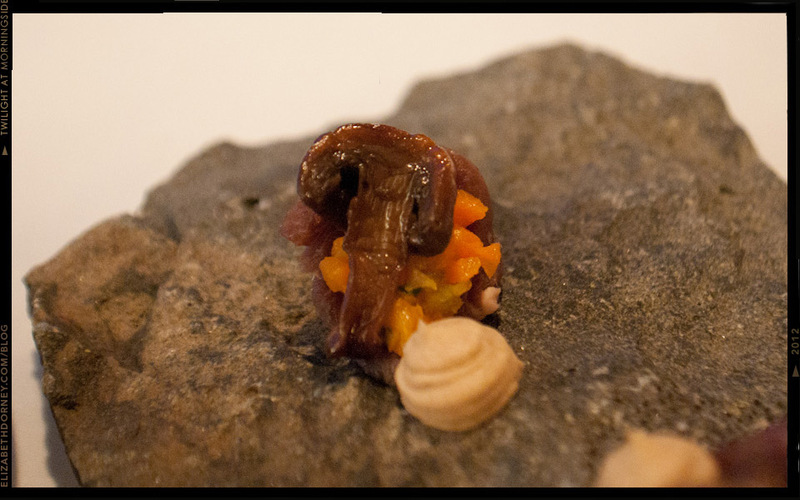 Amuse bouche: Muskox and burned butter. The restaurant is house inside one of Alvar Aalto’s later works, the Nordic House. 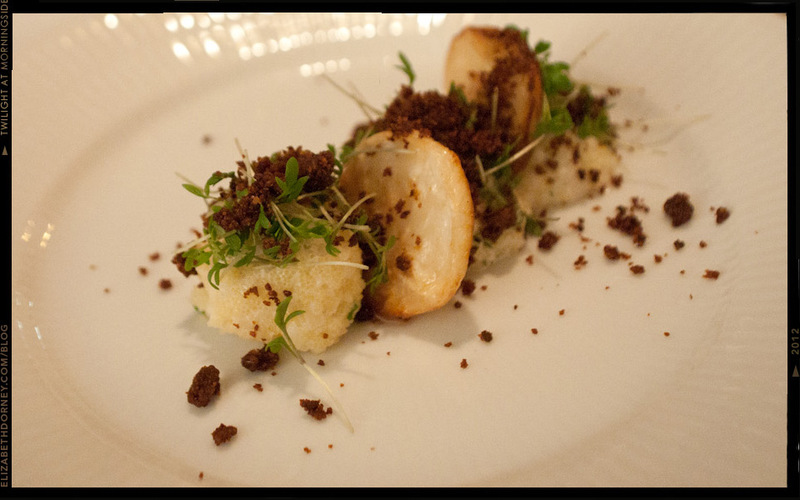 Smoked mayonnaise, capelin caviar and crispy rye bread. 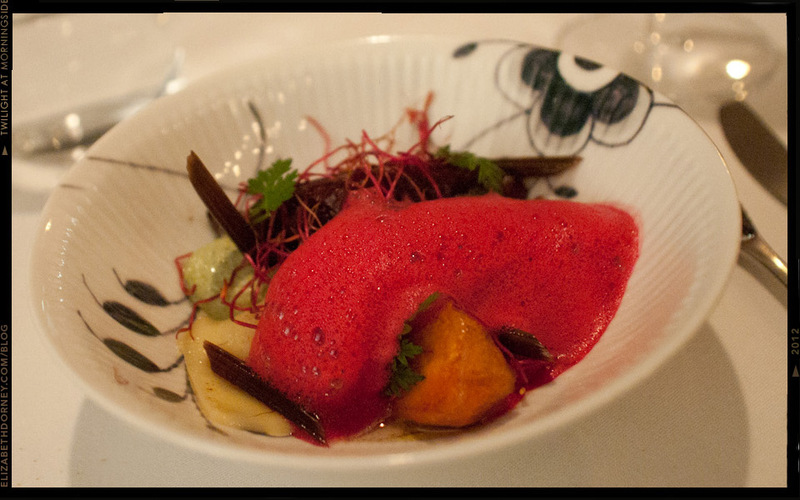 Warm isbui, roasted carrots and hay baked red beets. Rosemary and honey. 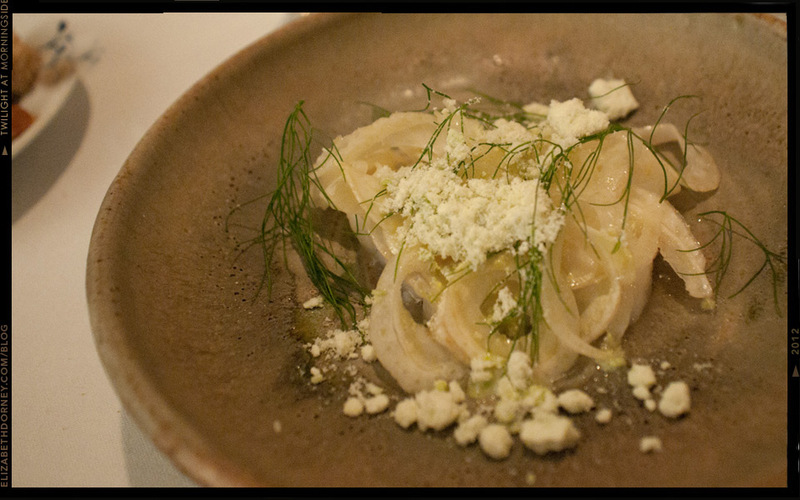 Fennel salad. sweet and sour whey and lightly cooked cod. Soft potatoes, pickled onions, grill oil. Crispy pork belly and fried onions. 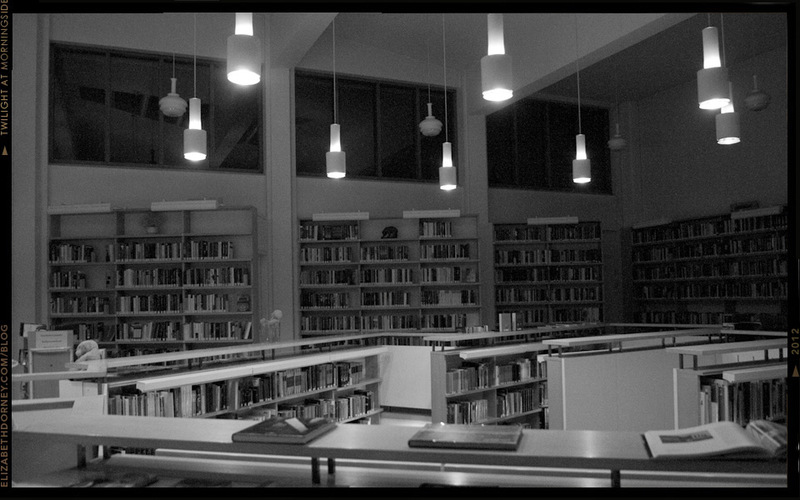 In-between courses you’re able to browse the nearby Nordic House Library. Cocoas of the north, apples, and crowberries. 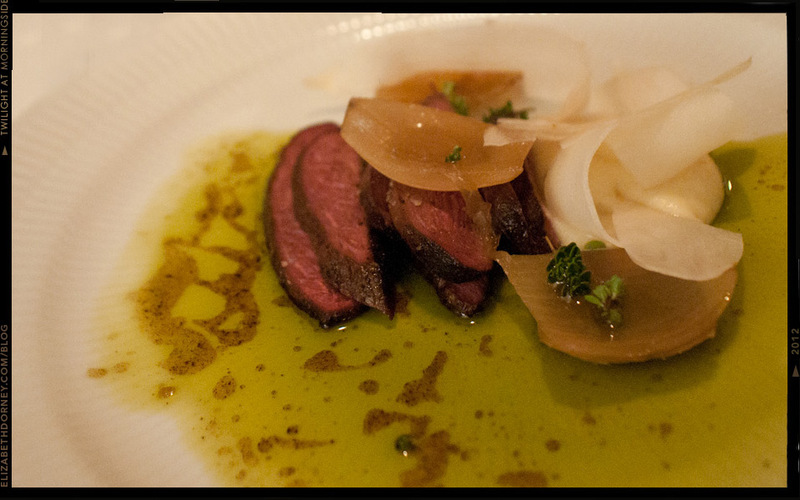 Goose breast. Onions and beer. 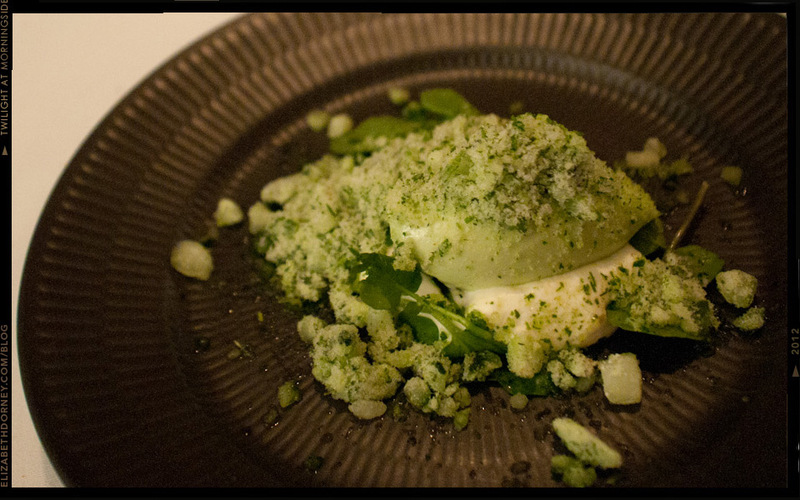 Cucumber, celery, and dill, served with skyr. 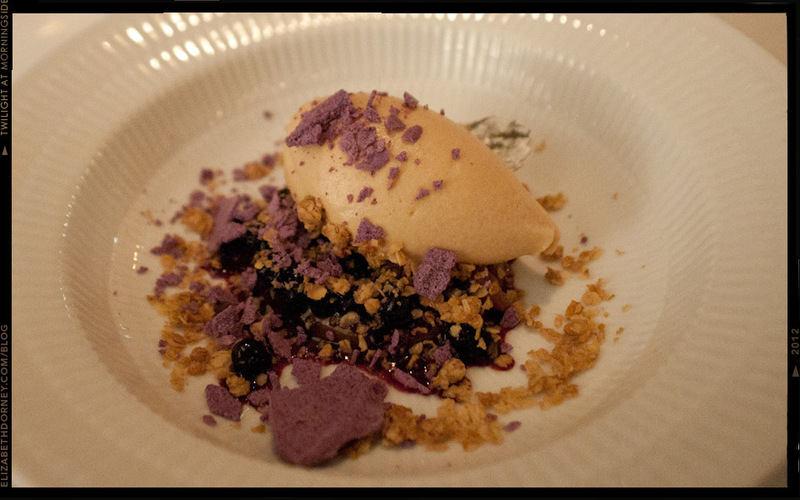 Berries, lemon balm, and salted caramel ice cream. We had read enough reviews to know our 7 course meal would last at least 3 hours. Don’t say I didn’t warn, you but it is a lovely way to spend an evening in Reykjavik. Reservations are a must. It was about a 5-10 min cab ride from our hotel, though I suppose those more ambitious could walk. Amy, I absolutely thought of you and Ryan while we were at Dill. 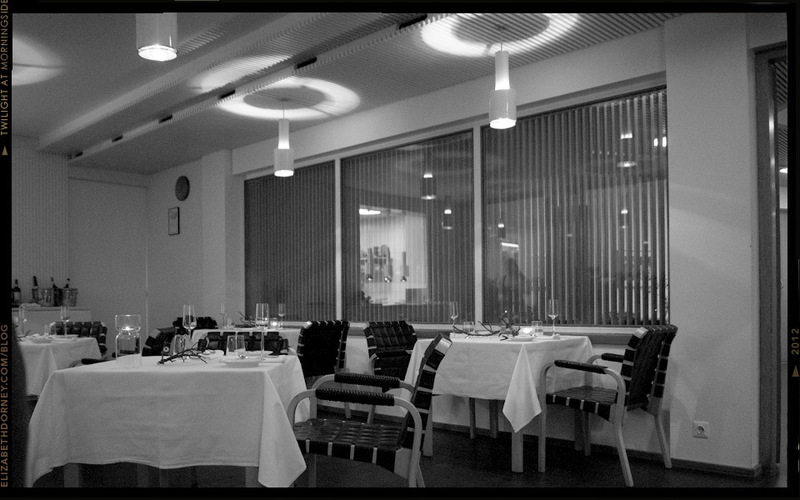 Beside the food, you would also love the Alvar Aalto and other design elements inside the restaurant. Definitely one of my favorite meals of 2012! I must hear more about this spot. What a perfect setting for this stunning food. I especially love the colors of the berries & ice cream. There was hardly any light, but it was definitely a meal I wanted to share. 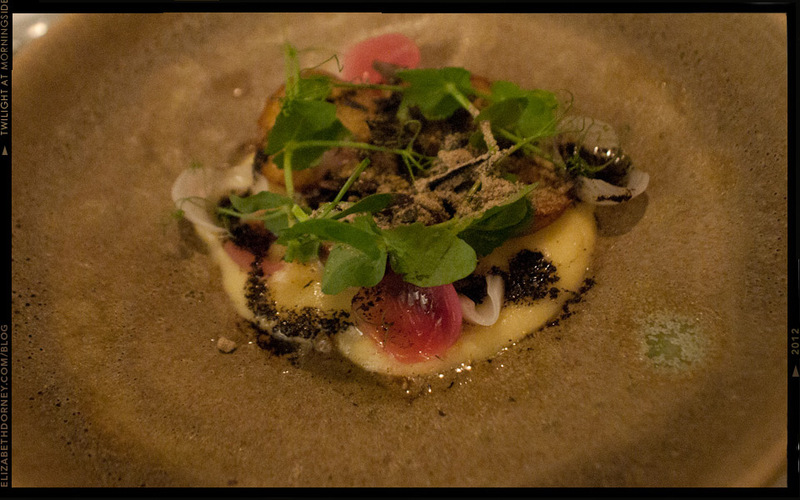 I saw many handcrafted plates and serving dishes throughout our stay in Iceland and not just at the fanciest restaurants. It was a wonderful surprise given the kind of tableware typically seen here in the States! Stay tuned – I’m hoping to get more Iceland photos up later this week. Truth be told, I’m having a hard time editing the photos for my next post. Wow, this is stunning. Would love to hear more about your trip.